Looking for the list of best search engines (2018) in the world? In this article, we test & list the best internet search engines and popular alternatives to Google. 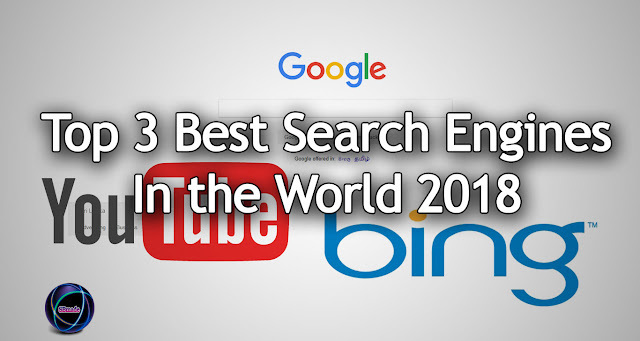 Looking for the list of best search engines (2018) in the world? In this article, we test & list the best internet search engines and popular alternatives to Google. Not only that, we’ll show you how you can leverage and benefit by using these popular search engines (both for efficient search results and monetary benefits). 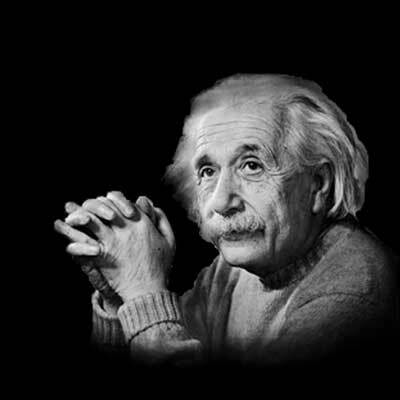 Today, every single query that your idle brain can think is answered by search engines within the blink of the eye. From getting your daily dose of current news to weather forecast, from getting information about nearest local businesses to trusting Google better than grandma’s tips, search engines have come a great way. No wonder, Google has become the de facto assistant for everyone and with a whopping 78.78% market share, Google truly has been the best search engine in the world.However, things aren’t always the same and Google has been decreasing the organic click-through rate in favor of paid ads. Most commercial queries now turn up with a full page of paid ads (that too with green font color just like organic results) and users see no more organic results without having to scroll further down. Wikipedia defines search engines as a web search engine is a software system that is designed to search for information on the World Wide Web. The search results are generally presented in a line of results often referred to as search engine results pages (SERPs).Search engines index and display information as webpages, images, videos, PDF and other media formats. Unlike web directories, which are maintained by human editors, search engines leverage complex algorithms and search bots to index, rank and display results in real-time. Founded in 1996, by Larry page and Sergey Brin, Google has become the largest and most popular search engine in the world.With a net market share of 78.78%, Google definitely is the best search engine in the world.The second close competitor and Google’s alternative search engine, Bing has only a mere 7.65% market share. The Google owned search engine is so good that the term “Google” has become synonymous to searching. People just say “Google it” instead of saying search it.Google processes over 40,000 searches per second which roughly sums up to 3.5 billion searches per day and 1.2 trillion searches per year worldwide. These searches range from anything you can imagine to everything that can be asked. Google search queries range from news to weather forecasts, business trends, lifestyle queries, maps and directions and everything in between. Google now taps into voice search and more interactive queries with Google assistant that is reshaping the way how search works. This makes Google eat up the lion’s share in search engine marketing and ad revenue. Google’s search engine earns billions of ad revenues and other income sources for it’s parent and umbrella company, Alphabet.Last year, Google reported a net profit of $26 billion revenue from ad business which was 26% more than a year ago. Interesting as it may sound the #2 best search engine and the top Google alternative is YouTube, a product owned by Alphabet, Google’s umbrella company.Founded in 2005, YouTube is transforming the way people are accessing information across the web. If you focus on video content, may that be entertainment, news, tutorials of any sort, YouTube is something you should be focusing on. YouTube, with 1.5 billion active monthly users (which equals to a jaw-dropping ⅓ of total internet users) is the second largest search engine and the largest video search engine in the world.You heard it right, YouTube is the largest & best video search engine that has answers to any video query you might have. YouTube as a search engine is bigger than Bing, Yahoo, AOL and Ask.com combined.If you’re still not convinced that YouTube is a good video search engine, you’d love to know that people consume over 1 billion hours of video every single day.With such traffic and active user count, YouTube is definitely something worth focusing on to drive traffic back to our site. You can also create an account, open up a vlog account on YouTube and start vlogging and directly leverage the audience to gain exposure, make money vlogging and add value to the community. Launched in 1998 by Microsoft, Bing is now the second largest web based search engine and the third largest search engine after Google and YouTube generally.Bing, is also the second most popular search engine in the US after Google, which makes it very lucrative if you want to target audience in that niche.Bing brands itself as the “decision engine” where it displays rational results based on users’ queries unlike other search engines (read Google) where they display results by just scanning and matching the text. Another advantage of using Bing over Google is Bing rewards, which rewards you with some points every time you search on their search engine (yes! Bing is perhaps the only search engine that gives you cash rewards for using their search) which can be redeemed when shopping on Amazon, Starbucks etc.If you didn’t know, 72% of the business and finance searchers are not found on Google, that’s approximately equal to 21 million people you wouldn’t want to miss. Furthermore, what makes Bing one of the most popular search engines in 2018 is its collaboration with Yahoo! web search forming the Yahoo-Bing Exclusive network that makes up a decent market share you wouldn’t want to be missing. With over 15 billion searches, Bing search engine is something you would want to optimize your blog/website for.According to Comscore, Yahoo Bing network searchers spend an average of 6.8% more money online than Google searchers.If you’re into digital marketing and looking for an alternative to Google search engine, you probably will be amused to know that Bing is not only a popular Google alternative but also great in terms of marketing ROI. While there will be ongoing debates as to which is the best search engine and wars declared on Google vs Bing, you should always consider to have your hands in both the pies. If you’re looking for a search engine other than Google, Bing is what you should be using. I hope you liked our big, fat list of top best search engines that are great alternatives to Google search.Each internet search engine listed here has a specialty in one particular department and hence you should be wise enough to leverage these in your digital and SEO marketing campaigns. Having said that, while these alternative search engines are doing a great job, they still make up a negligible market share. Google’s search engine still owns the lion’s share in the market (or probably even more than a lion’s share) so be smart enough to leverage Google’s huge user base and bring your business/website in front of billions of people.